Mercedes 560 SL Roadster. 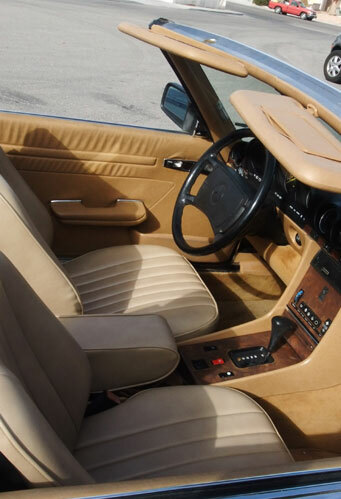 Beautiful 1987 black convertible with tan, tuck & rolled leather interior. Perfect condition with both hardtop and 2 softtops, new CD stereo system, automatic, air. 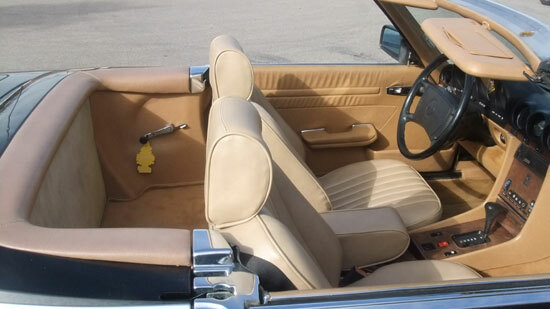 Very smooth ride in a great, classic car. 131,400 miles of fun.